Flood surrounded barn and the flooded Connecticut river seen from a field. A house nearer the camera is just high enough not to be flooded. Normal banks of the Connecticut river are usually delineated by the two rows of trees just to the right of the barn. Beyond the trees is the flooded Northampton Meadows. 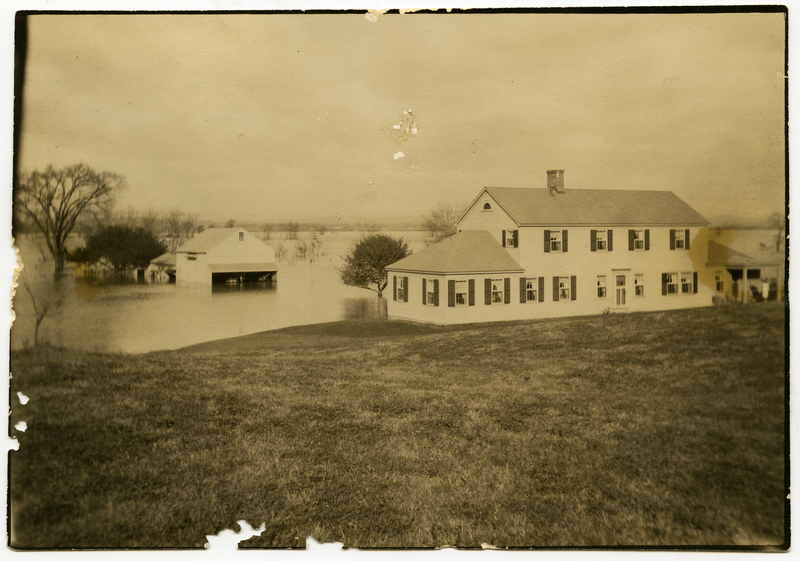 Johnson, Clifton, 1865-1940, “November 1927 flood, Roger Johnson place,” Digital Amherst, accessed April 24, 2019, http://digitalamherst.org/items/show/2259.